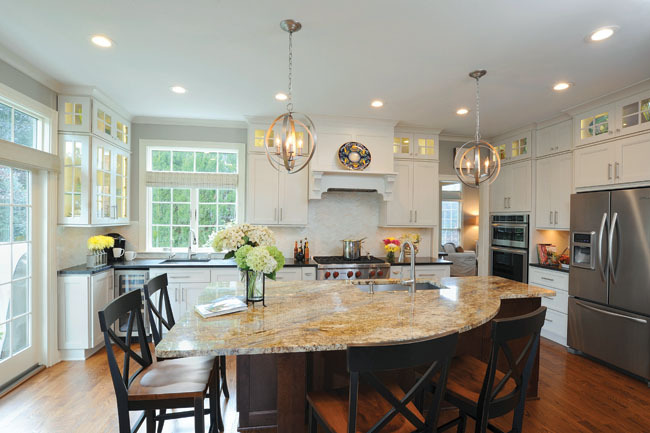 This kitchen remodel included some serious window replacement when multiple windows with small panes were swapped out for fewer windows with larger panes. 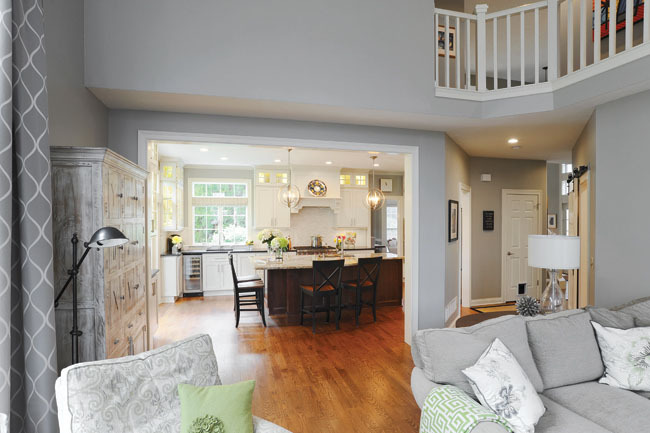 Frustrated by constantly bumping elbows in a nearly 25-year-old kitchen, a soon-to-be wed Westerville couple concluded they either had to find a new home with a larger kitchen, or cook up some kitchen remodeling ideas that would create the area of their dreams within the existing 2,000 square-foot empty nest they planned to share following their nuptials. “Among our favorite shared activities is coming up with creative concoctions as we chat and relax after a busy day,” says homeowner Lisa Dodrill. 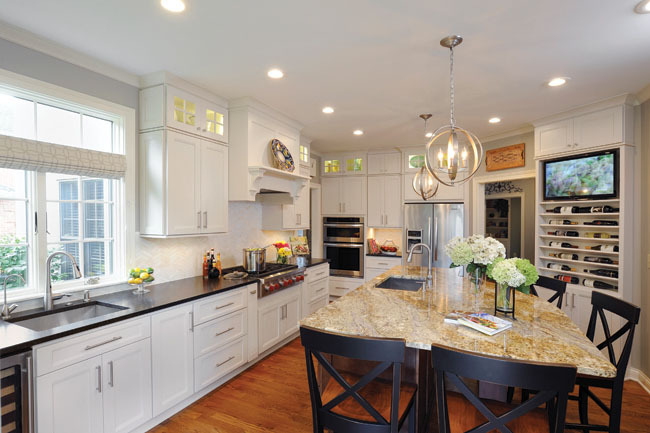 Because she and her intended, Gary Kadlec, found themselves often jockeying for position over the kitchen sink, they knew that their new, two-chef kitchen must include a prep sink. 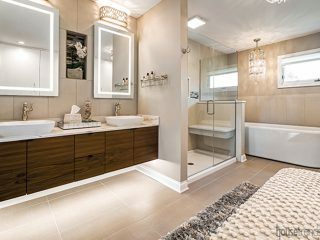 With grown children on either side of the equation, the couple had thought the four-bedroom home was otherwise too large and set out to find a condo with the perfect kitchen, but after enjoying the Home Improvement Showcase Tour and admiring the work of Renovations Unlimited, they found it made more sense to renovate. “We were not only impressed by the Renovations Unlimited projects we saw, but were also delighted with their approach to transforming our disjointed space into a cohesive design. We wanted something that would both coordinate with our casual, farmhouse-inspired dining room and carry through the theme created by the transom windows in our great room,” Lisa explains. “We’re very happy with the result,” she adds. “Although the existing kitchen in this home had many nice finishes, it no longer met the needs of the family who wanted a fresh, intriguing and spacious entertainment area to integrate visually and functionally with existing features, while creating better efficiency and traffic flow,” says Todd Schmidt of design-build firm, Renovations Unlimited, Inc.
“To achieve the open-concept design Lisa and Gary wanted, we took down the bearing wall between the great room and kitchen, removed the counter that divided the space and added plenty of light with new windows and replacing what had been the breakfast nook window with French doors that now provide access to the deck directly from the kitchen,” Todd notes. To echo the beautiful transom windows in the great room, new cabinets are stacked to feature separate doors on the highest-level shelves. 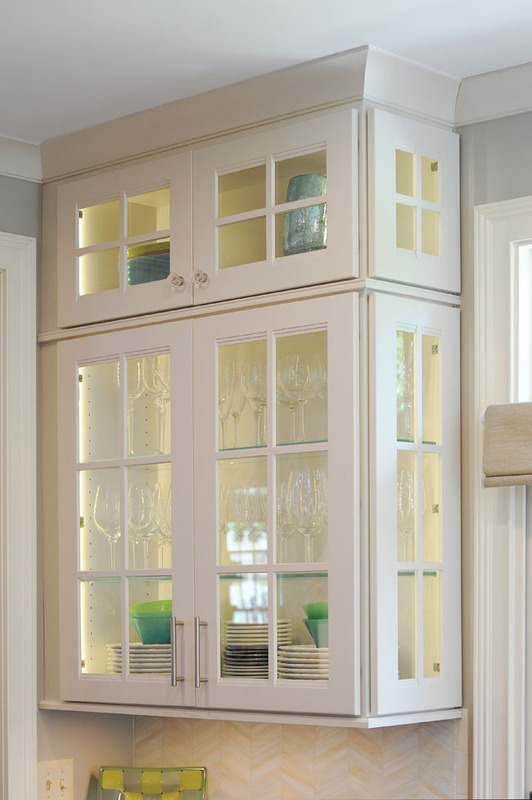 By installing lighting and glass fronts instead of wood, Lisa now enjoys distinctive, new display areas. 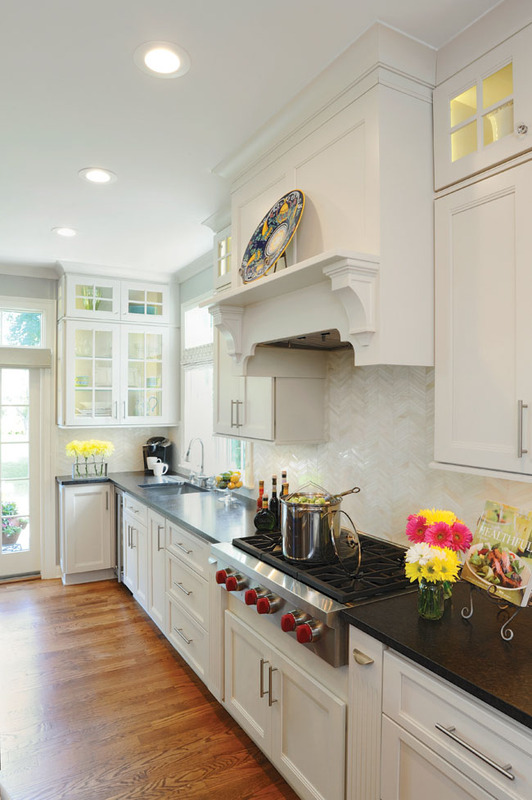 And, by enlarging and adding a transom to the existing window above where the new prep sink located, the ideal kitchen-sink view is possible; a second, larger sink in the island gives the couple plenty of the elbow room they desired. 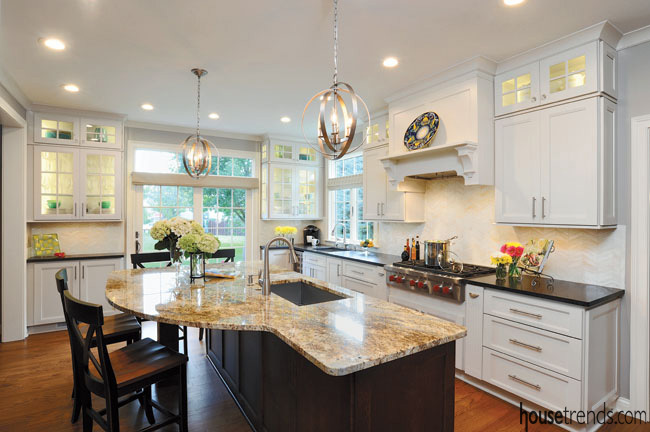 Now, natural light plays off the sepia, toffee and cream shades of the multi-flecked Yellow River granite that turns the custom-designed island in the newly renovated kitchen into a dramatic showstopper. Adjacent perimeter countertops “leathered” in deep, Kodiac Brown, contrast with and complement both the centerpiece and the smooth Macadamia of the Staffmark Waynesville maple cabinets. Todd and his crew worked closely with Lisa on the unique design of the island, first rendering in cardboard what would be the shape of the island granite. 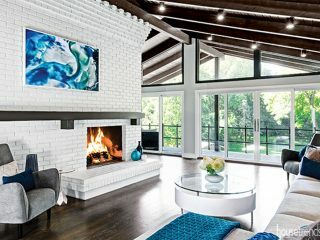 “We were able to readily move it around—trimming here and adding there—until we found the perfect orientation for the irregular shape, which not only allows maximum seating, working and entertaining space, but also creates a truly one-of-a-kind design,” Lisa says.